Do You Trust Your Wrangler? Michael and I were staying at the White Stallion Dude Ranch in Tucson, Arizona. My daughter Alexandria was working as a wrangler on the ranch and we had come to stay for about 5 days. 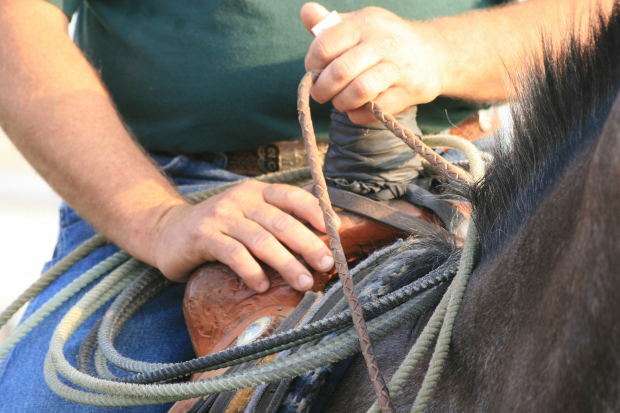 What a wrangler does is take people on trail rides, give lessons and tend to the care of the horses. Being a wrangler is difficult and grueling work. Their day usually begins at 4 a.m. and ends only when the last horse is put up – often past 10 p.m.. A wrangler’s work is never done. I have never been much of a horse rider. It had been years since I had ridden and my last experience was not a good one. We had a new mare on our property and while I was riding her she bolted, I fell and landed on my head. I had a concussion and was seeing double for several hours. I never rode again until I came to White Stallion Ranch. Now I was about to face my fears. The morning of the ride I was assigned a Palomino – it was Alexandria’s favorite. He was solid, calm and trustworthy. We were to do a half- mountain ride. It was to be switch back trails on one of the Arizona Mountains. Though my mind and body wanted to fall into fear – I refused. As we slowly rode our horses towards the mountain I began to actually take notice of how high the mountain actually was. “How dangerous can this actually be anyways?” I thought to myself as I looked around at our small group of 8. There was a woman in her 80’s, a 7-year-old boy and all ages in between. The ride to the mountain was peaceful and pleasant. The scent of sagebrush was in the air and the rising sun was beautiful amidst the cactus and prickly pear. We arrived at the base of the mountain and began our assent. This was not what I had expected. The rock underneath was slate – broken, sharp, slippery and difficult for a horse to grab a footing on. Once again fear wanted to consume me. Again I fought the temptation to give in. The incline came up suddenly and my horse’s footing was uncertain. His hooves would slip and slide. At times he would just stop and not move. This was not what I had expected. Then I looked up ahead. I saw my daughter – 20 years old, riding horses since she was 6, a beautiful smile, blond hair tied in a pony tail, turning and smiling at her charges always asking if everyone was okay. I trusted her. I trusted her experience. I trusted her knowledge. I trusted her choice of my horse. “I will not fear because I trust the wrangler.” Once I said that under my breath I felt a tremendous sense of relief. I no longer trusted my abilities and lack of skill to see me through this adventure – it was all up to the wrangler and her expertise. We traversed higher into the mountain. No matter how steep the terrain or how difficult the trail – I continued to remind myself that my safety was not dependent upon me – but upon the wrangler – the one person in control of this adventure. “Has anyone ever fallen off the mountain?” I yelled to Alexandria as we came around a steep incline. This only reminded me that horses do lose their footing and fall. Yet I refused to come under fear – I trusted the wrangler. When we finally reached the turn around point on the mountain I felt a great sense of relief only to realize that it was just as steep going down as it was going up. Then it all became very clear. This is life – difficult ascents, challenging decisions, frightening situations – yet all God asks is that we put our trust in Him – our wrangler. On our own we can do nothing – we get lost, lose our footing, fall off the mountain and make grievous errors. With Christ always in view we need never fear, never doubt and never fall off the mountain. We all made it safely off the mountain that day. It was an amazing experience. I had a good, solid horse and he did a wonderful job. But really it was the wrangler who brought us all through this experience. 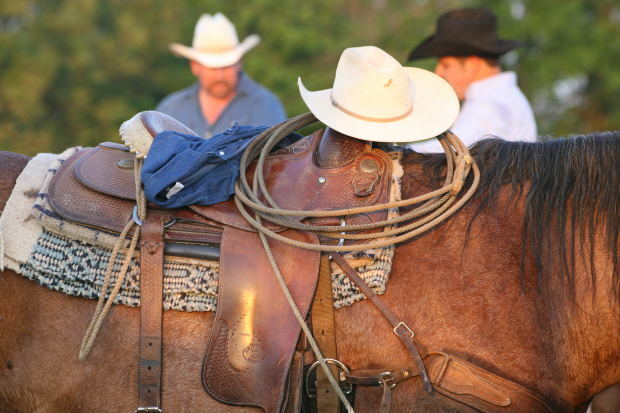 That day I overcame fear and anxiety because I simply chose to put my trust in the wrangler – the only one who could truly bring us to a safe place. I encourage you to read The Armor of God https://jackieosinski.wordpress.com/category/armor-of-god/page/3/ to teach you to warfare against fear and to give you the authority to daily stand against it.